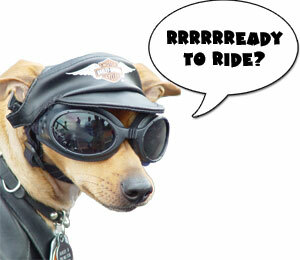 Burlington Humane proudly presents THE "RUFF" RIDE a charity motorcycle ride and after-event open house and BBQ. This fantastic event will bring together animal lovers and motorcycle enthusiasts to raise money for a great cause. All funds raised will go directly to aiding animals stray and abandoned animals in our community. The after event includes live music from rock band Prologic, tours of the shelter, a silent auction, toonie toss, licensed beverage area, BBQ and more! Your registration fee/pledges help give an animal a second chance at finding a forever home! 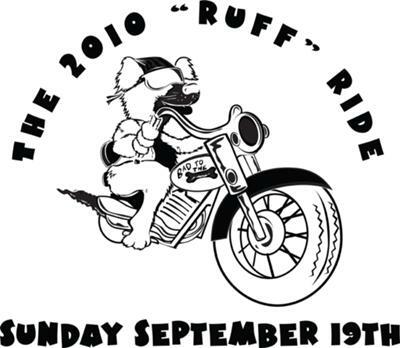 Burlington Humane Society (formerly Animal Aid) is proud to present The "Ruff" Ride is a 1.5 hour scenic motorcycle ride around north Burlington and Waterdown followed by an open house and BBQ. The ride is being held on Sunday September 20th, with a rain date of September 27th. The start and end location is the Burlington Humane’s new facility at 740 Griffith Crt. in Burlington. The ride will run from 11:30-1pm followed by an open house with BBQ, licensed beverage tent sponsored by Nickelbrook, entertainment, raffles and tours. Non-riders, family members and residents of the community are also welcome to join us for all the open house fun, which runs after the ride from 1pm – 3:30pm. Interested participants can register on the website at www.burlingtonhumane.ca or by dropping by the shelter to pick up a pledge form. The ride is open to all types of street legal motorcycles.